Popularized by Jimi Hendrix’s 1967 classic, Purple Haze delivers a dreamy burst of euphoria that brings veteran consumers back to their psychedelic heyday. This nostalgic sativa staple remains cherished for its high-energy cerebral stimulation that awakens creativity and blissful contentment throughout the day. Purple Haze is believed to have descended from parent strains Purple Thai and Haze, who pass on a mix of sweet and earthy flavors underscored by notes of berry and sharp spice. Following her 8 to 9 week flowering time, Purple Haze buds typically acquire vibrant hues of lavender that further justify the naming of this strain. If you purchase this product you will earn 20-150 Points! Tony’s Purple Haze is a must buy with it’s nice dense purple buds covered in trichomes that I could stare at and admire all day! Once you start hitting it you’ll be met with a nice head high that gives you incredible thought ideas which would make even Stephen Hawking proud! If you haven’t tried Purple Haze you’re missing out. Very potent, fantastic burn. Nugs were a little scrappy, but great nontheless. The nugs were quite purpley. its beautiful. Caked in crystal. First time buying a Tony strain and it definitely did not disappoint! Nice density, perfect trim, good color (most nugs were purple). Visually was very nice smell wasn’t the best but highly recommend for the beginner smoker. Nice strain, just like I remember smoking back in the days with my buddy Jimi in 1966 when he wrote his song, man we were high! Wait a minute I’m only 36, that’s some good weed! Massive solid buds filled with beautiful purple colours and an amazing pungent smell I don’t even know how to describe. It’s one of those smells that just makes you want to eat it, if that makes sense? Awesome daytime strain! Best I’ve had since a while!! Nice euphoric feeling, but not couch ridden. It really helps pain relief and gets you to get up and do a bit..depending on your personal issues. Oh wow this goes straight into the museum… the whole bag is the sexiest shade of purple that makes you need to change your underwear. It looks so nice I have just been staring at it for the past 39 hours I haven’t tried it yet still captivated by its incredible beauty. Obviously it will taste like purp purperino mcpurperson yes yes yes this the Chron don right here buy right now! Great taste, nice buds. Overall awesome strain. 100% brings a 5 star experience to the table. Amazing quality and bang on with the price! 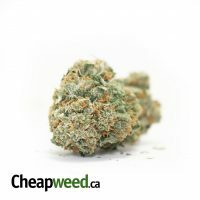 Excellent strain, nice, hard crystal coated buds at a great price. I would order this strain again. Very funky smell i was not expecting, i cannot explain as i’ve never had this maybe a few years back i recognize the smell from. Very delicous tasting and bud structure is a nice semi-fluff but mostly dense and sticky, all my buddies i shared with definitely had the same opinion. Very caked and absolutely worth the buy if you’ve never had it before My rating AAA+, a plus because of the pungent cheese? like aroma i was not expecting. Tony does is again! Awesome bud! Wow 5 stars worth definitly!!! Real nice purple looks. Great sativa buzz. One of my favorite strains, definitely my top pick for outdoor/green house which this appears to be. Huge dark green and hints of purple on the buds, delicious Haze aroma. Sticky. Flavorful and *clean*. Almost as good as the guerilla outdoor my buddy grew back in the day! The bud structure was a bit awkward but the taste was just perfect!!!! Awsome strain has an amazing smell SUUUUUUUPER STICKY buds nice trim and all around really good bud BUY IT !